This round of Iron Crafter's secret ingredient is cardboard boxes and I decided to join in the fun and use some cardboard boxes to help organize my fabric stash. 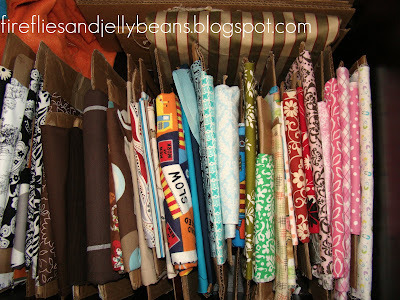 Here is what my fabrics looked like before... a BIG mess! I was using bags to try and control the mess but I could not get a good look at what I had... so I usually just bought more fabric. Now it looks like this! Now I can see what I have and don't have to spend money on fabric that I may already have! I cut off the flaps and also I cut apart all the sides. I also cut the sides in to smaller rectangles. I cut the smaller sides into 2 pieces and the larder sides into 3 smaller rectangles. 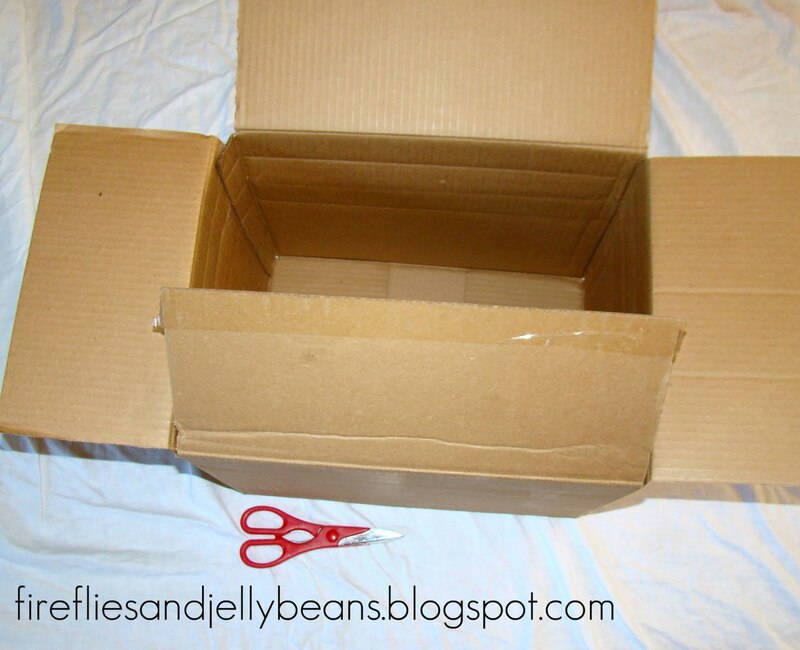 Depending on how big you box is you can decide how many pieces you want to cut your sides. Each flap is going to be your mini-bolt... along with the smaller pieces from the sides. Take one of your cardboard pieces and wrap your fabric around it, like a bolt at the store. These mini-bolts are perfect for .5 - 2 yards of fabric! That's it, you are done! I can get 16 - 20 mini-bolts from one big shipping box! Now I can pull out a bunch of fabric at once to see what combinations I may like, and it is not a big mess! 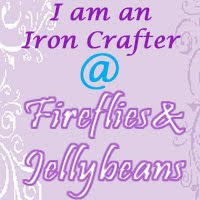 Be sure to link up your cardboard box projects at The Iron Crafter Round 5! So smart! I have mounds and bags and boxes of unorganized fabric. Love this idea! Your a genius!!! I have so many piles and drawers of fabrics, I'm SO gonna do this! You know,I actually have a place where I could store these if I did this now. Hmmm. So smart! If you have large cuts of fabric you can probably get the bolts from the fabric store for free. I worked at Hancock's and they tossed the empty ones in the recycle bin every night. holy cow that is a great idea! i have been struggling with my fabric, now i have a solution. thank you! 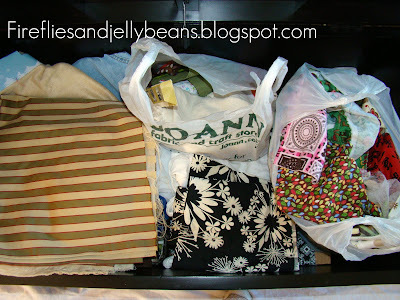 I so need to do this with my fabric and I have tons of boxes still from our move!!! I just made my own fabric bolts the other week. Helps make me realize all the fabric I have on hand!!! This was my intended next step with the storage boxes I made. I love the mini bolts. I don't have a lot of fabric scraps but I am going to do this with what I have. Thanks for sharing! Thank you for this. I always feel guilty not keeping "good boxes". :D LOL Now I can use them!